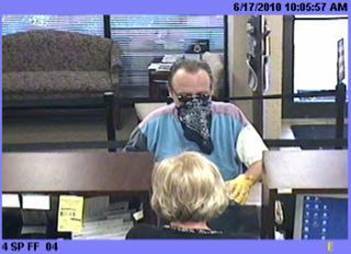 Armed Robbery at the First Federal Bank in Mt Pleasant | Crime Stoppers of the Lowcountry: 554-1111 | 1-888-CRIME-SC | Anonymous tips earn cash rewards with Crime Stoppers of the Lowcountry. The suspect was wearing light colored shorts, a multi-colored purplish blue and gray shirt, and two tone athletic shoes. He was armed with a dark in color revolver and fled with an undetermined amount of money.